In every corner of the world you’ll find a JCB machine. 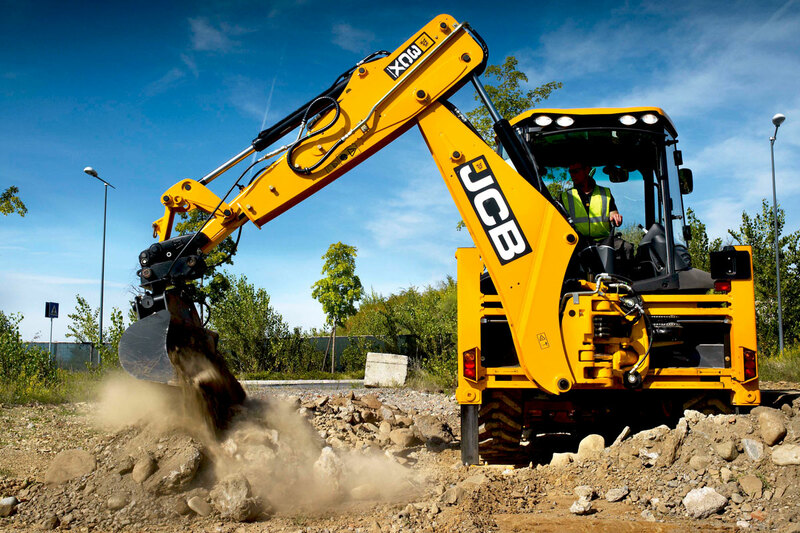 JCB is the World’s second largest manufacturers of construction equipment. JCB is a true British heritage brand, founded in October 1945 in Staffordshire, England. JCB have a significant presence across the globe and have earned trusted brand values of ruggedness, reliability and functionality within all of their products. Throughout its proud 72 year history JCB have always invested heavily in research and development, keeping JCB at the cutting edge of innovation. 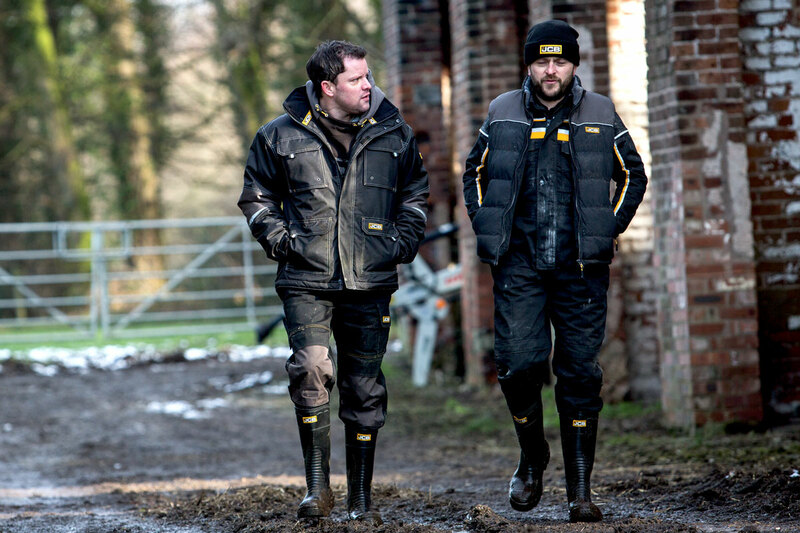 Their partner, Cleversocks, have developed the JCB branded sock range to the same meticulous standards. 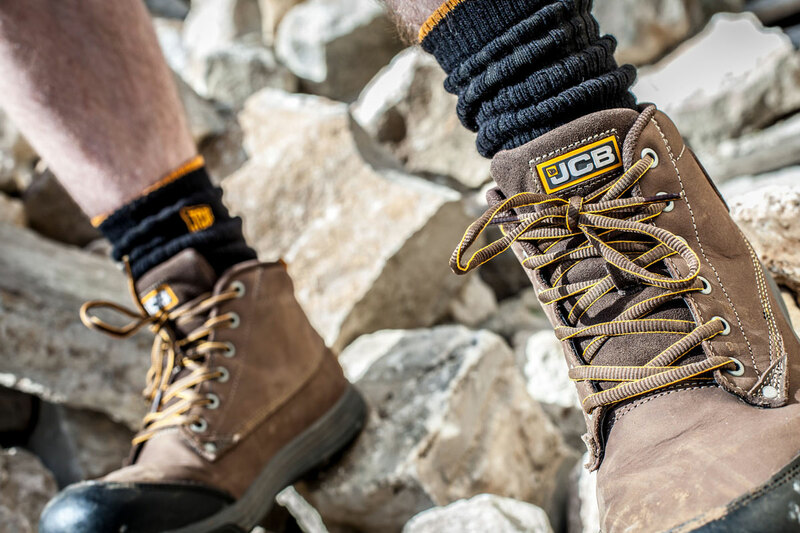 Through research and development, each of our JCB styles has been engineered using premium materials and production methods, specifically for different situations. Be it light or heavy work, hot or cold temperatures, we have designed socks suitable for all working environments. Each product is tailored with latest in yarn technologies and treatments to ensure a product that works as hard as the individual wearing it. REACTIVE yarn technology; Warmer than wool and lighter than polyester, providing bulk and warmth for less weight. With hydrophobic qualities it is quick drying, wicking moisture away from the skin and through the fabric for quick evaporation. Antimicrobial technology; to guarantee optimal active freshness and hygiene. Specially designed to deactivate the microorganisms whilst remaining safe for humans and the environment. Blister Protection; Reinforced heel and toe areas for extra protection from rubbing within shoes and work boots. New generations; of polyester fibre with silver ions permanently embedded. Compared to conventional polyester, the fibre is much improved in terms of strength and breathability. 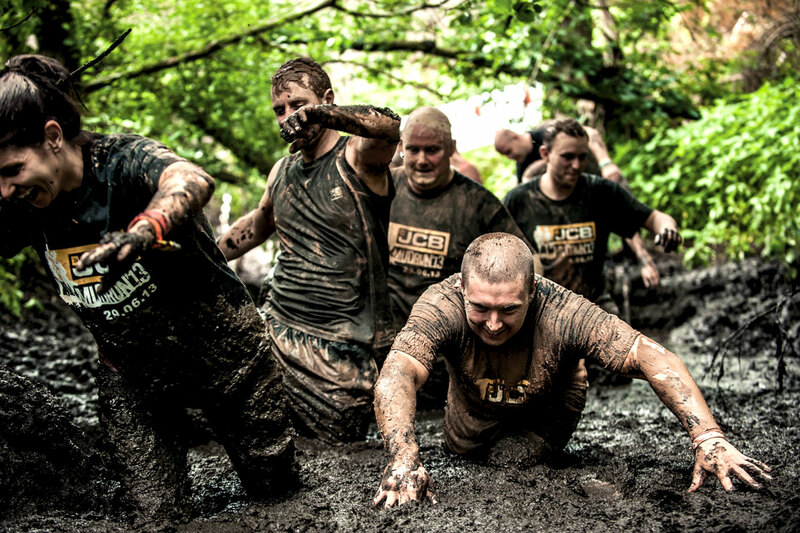 Ventilation; In regular and extreme conditions feet can get irritated by heat and sweat from all the action on a busy day, ventilation panels aim to reduce this issue and let feet breathe. Anti-shock; Cushion looping gives comfort, absorbs sweat, and acts as a barrier between the foot and ground for added shock absorption. Flexible Support; We have a range of knit structures to support the movement and support you day to day, whether you need a firm grip or a relaxed hold for better circulation.